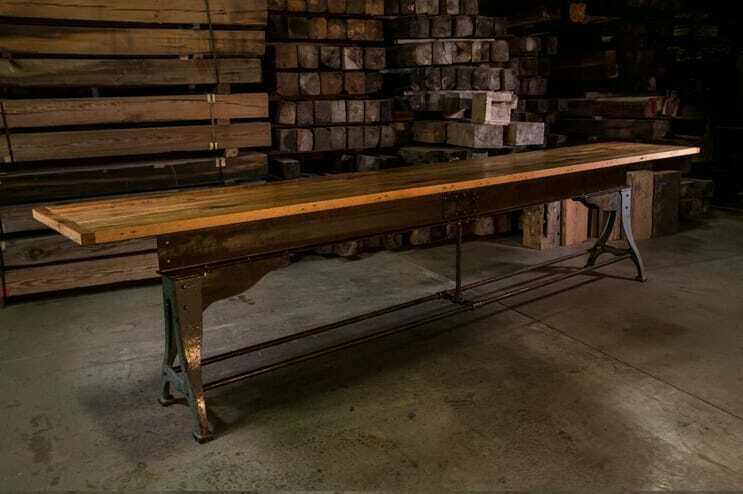 Whether it’s at a brewpub or family dining room, our oak trestle table has plenty of space for large groups to gather around. 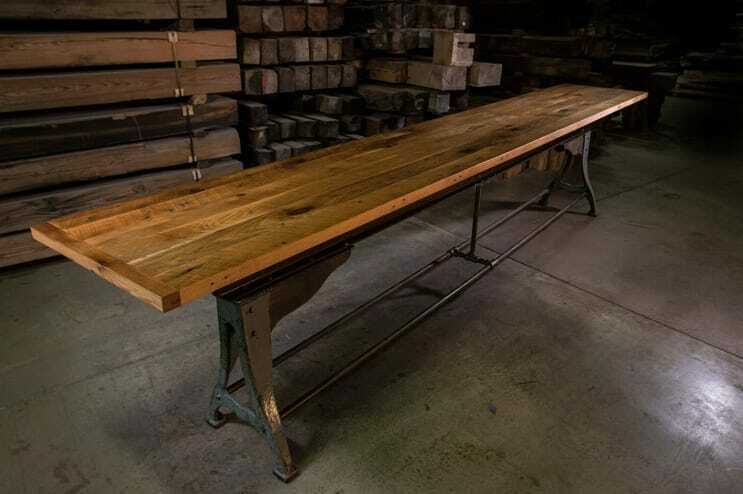 With a reclaimed oak top and vintage machine leg base, consider it an instant conversation starter. Each table is one-of-a-kind.